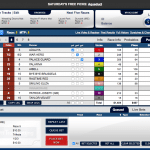 OffTrackBetting.com is a US-based racing betting site owned by Lien Games Racing, LLC out of North Dakota. The website and mobile apps support wagering on more than 300 racetracks in the US and abroad for thoroughbred, harness, quarter and greyhound races. 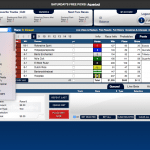 Additionally, OTB offers call-in wagering for all races. 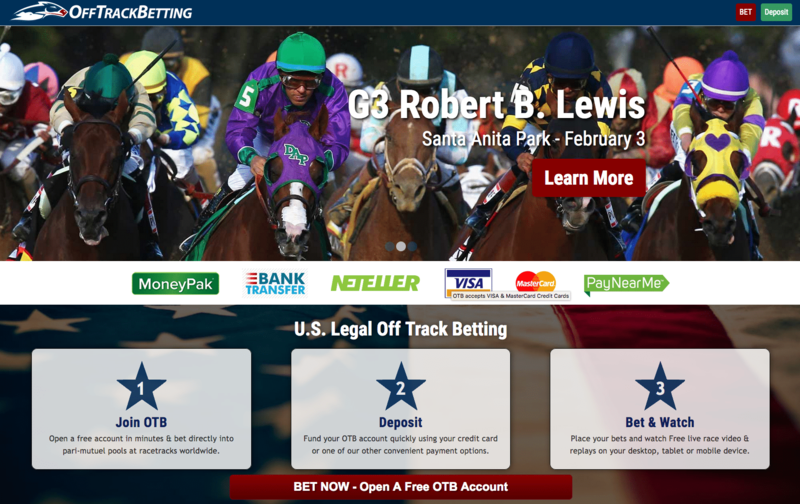 OffTrackBetting.com is a US-legal horse racing betting site that covers more than 300 racetracks around the world for horse and greyhound betting. A barebones betting layout is offset by one of the best cashback rewards programs in the industry. The parent company (Lien Games Racing) operates in both the online and brick-and-mortar spheres with OffTrackBetting.com being the company’s primary online betting outlet. Its real-world operations include the operation of numerous brick-and-mortar outlets in North Dakota and Montana. 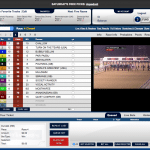 OffTrackBetting.com can best be described as a discount bookmaker. An absolutely barebones betting interface and website are offset by an easy-to-clear deposit bonus and a generous daily cashback rewards program. It seems the Off Track Betting business model is to cut costs on non-essentials in return for offering one of the best rewards programs among US-licensed betting sites. The outdated design of the website may not inspire confidence at first, but keep in mind Off Track Betting is properly licensed and is owned by an established betting business headquartered in the United States. In all, Lien Games Racing has processed more than $750 million in racing wagers since its inception in 2007. 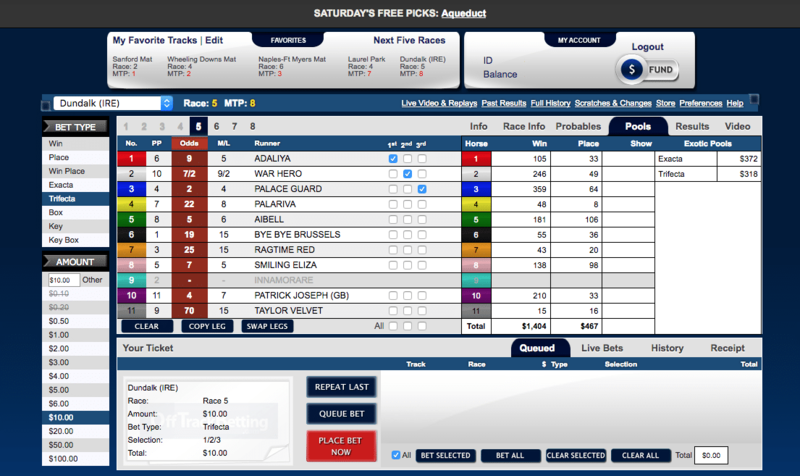 If your number one priority in horse racing betting is keep costs at a minimum, OffTrackBetting.com is worth considering. If you would rather have advanced wagering tools and a cleaner interface to build your bets, you may want to look elsewhere. My harsh review of the betting interface so far is based strictly on design and access to advanced wager-building tools. If you can get past those issues, you’ll find the interface isn’t that bad. You can still watch live racing video and race replays online, see the latest track conditions and betting pools and get your hands on past performances. It’s just not the most beautiful interface in the world. However, the most important things you need to bet are all there and OTB does support all types of horse wagers. Actually, OTB automatically supports all types of horse bets because all funds taken online are co-mingled with track funds in every single race. All bets available at the track that day are also available online, and all bets placed online are paid at full track odds. One nice thing about the interface is that it is as intuitive as any I’ve seen. 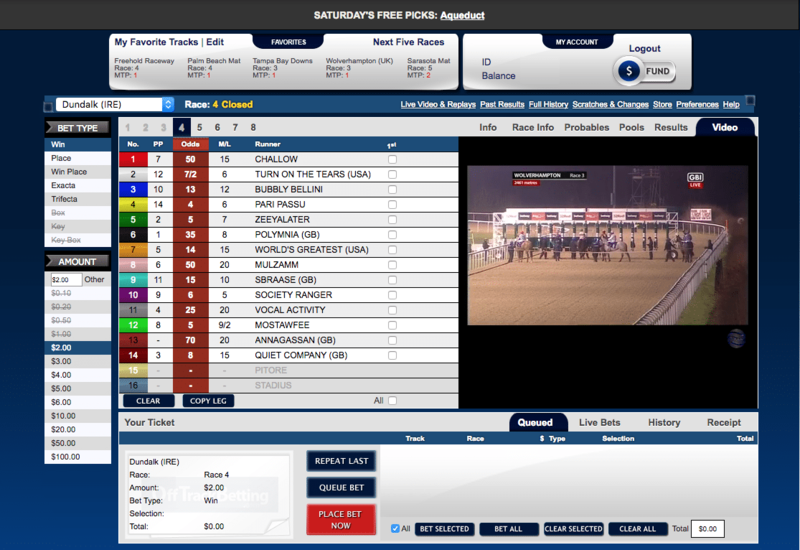 Once you find a track and choose a race for that day, you’ll see your bet types listed across the left side of the screen along with a place to choose your bet amount. Just choose the type of bet on the left and then select your horse from the list in the middle of the screen and you’re good to go. 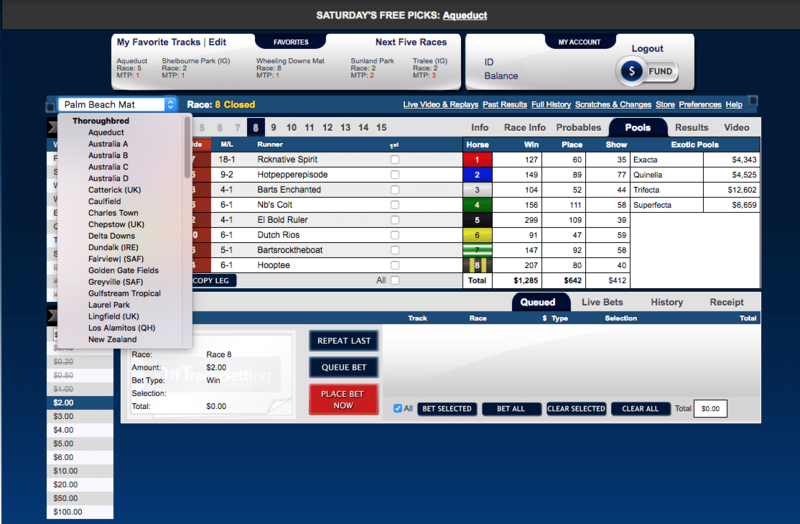 If you select an exotic wager on the left menu, it will add an extra row in the middle of the screen allowing you to select additional horses to build your bet. Boxing and keying is supported as well. One downside is that the list of tracks does not offer a whole lot in terms of searching and finding specific tracks. When you log in to your Off Track Betting account, you’ll see a short list of upcoming races displayed across the top ordered in terms of minutes to post. If none of those are of interest, you’ll have to use a long drop-down list to scroll through various tracks that are hosting races that day. New customers to Off Track Betting qualify for a $100 deposit bonus that is deposited to your account as cash. You can claim the bonus by signing up for an account and then placing at least $300 worth of wagers within your first month as a customer. Once you have placed a total sum of wagers equaling $300, e-mail or call customer support and they’ll credit your account with the bonus money. The bonus money itself comes with a 1x rollover. This means you will need to make wagers totaling $100 after receiving the bonus to clear it up for withdrawal. Once you meet the $100 threshold, you’ll be free to withdraw the bonus at any time. Customers from California, Kentucky, Maryland, Minnesota, Montana, New York, Oregon and certain Florida zip codes are not eligible for this bonus. One of the primary advantages of Off Track Betting is its generous cashback rewards program that is open to all customers. The cashback rewards program kicks in when you have wagered $1,000 or more in a single month and has five tiers with increasing amounts of cash back put into your account. Cashback amounts are based on a percentage of your total wagering activity and are paid regardless of your wins or losses. Whether you’re up or down for the day, you’ll be paid every day based on the types of wagers placed and your level in the rewards program. The following chart shows how much you can get back based on your wagering activity for the various types of wagers. Just know that these rates can change depending on the track you’ve selected for that day. A customer support representative explained to me that some tracks charge such high taxes/fees that OTB cannot offer cashback on wagers placed at those tracks. However, you can always log in to your account and select “player rewards” from the menu to see a large spreadsheet showing exactly how much is offered at every track covered by OTB. Because Off Track Betting strikes me as a discount betting site, I knew one question I had to answer was how their customer support does. Do they maintain adequate customer support or do they cut costs there as well? I tested customer support with a phone call as a part of this review and asked them to clarify something for me regarding the cashback rewards program. After listening to a short options menu, I pressed 0 to speak to an operator and had someone on the phone within seconds. I explained to customer support my basic question regarding the cashback program and they were quick to explain exactly what was going on. The person I talked to gave off a positive, “good mood” vibe and answered my question in detail without hesitation. Dealing with customer support was a pleasure and I am happy to report that OTB may skimp on website design, but they do not cut costs on customer support as far as I can tell.